• POP SEFF: światowy konkurs krótkich filmowych form muzycznych. Startujemy o godzinie 20:15 w Sali Slawistikkeller „Tschajka“, Domstr. 9/10, Hinterhof w Greifswaldzie. A creational documentary. This is a film portrait of Grzegorz, a gravedigger living in Wałbrzych, recording one day of his work. The film was created as a student’s short film study atthe Department of Painting and New Media at the Academy of Art in Szczecin. It was awarded, among others, 2nd prize at the 11th IN OUT Festival 2017, 2nd prize at the 6th Anti-depressive Film Festival “Relanium” 2017 in Łódź, as well as a prize in the “Best Film” category at the 3rd Documentary Film Festival 2016 in Częstochowa. Adrienne goes back to Poland, where she was born, to see her grandmother and ask her family about the still relatively recent times of communism. In her aunt and uncle’s cosy kitchen she will learn that the spirits of communism are not the only ones to haunt Polish immigrants, and that there are many unexpected and old means of facing them. This extraordinary animation merges the real and surreal worlds in a humoristic way. As it turns out, withcraft and fortune-telling are still deeply entrenched in today's Poland. Story of a man who leads a monotonous life until he meets a red-haired woman. Th en, his world turns upside-down – literally and figuratively. The animation won gold at the socalled students’ Oscars and made the short list of ten films competing for an Oscar in the short film category. Film oparty na opowiadaniu Stefana Grabińskiego pt. 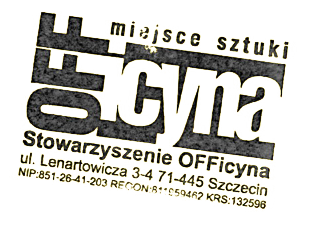 „Szary pokój”. Młoda dziewczyna przeprowadza się do nowego lokum. Ktoś odnajduje ją jednak i tutaj. A film based on Stefan Grabiński's story “The Grey Room” (“Szary pokój”). A young girl moves to a new place. However, someone finds her there. 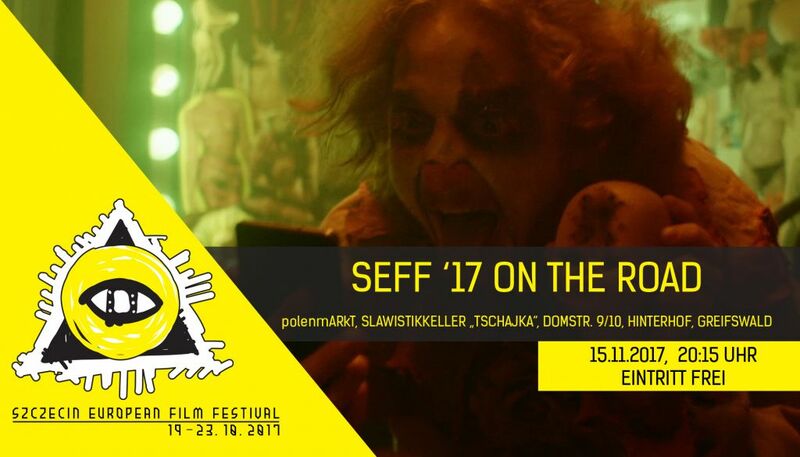 Oficjalna selekcja – Zachodniopomorskie Shorty w ramach Szczecin European Film Festival '17. D, AN, ED: Adrian Szczepaniak, PL 2017, 6'24"
Film opowiada historię kilku bohaterów. Każdy z nich jest inny, łączy ich jednak zbytnie przywiązanie do telefonu komórkowego. Co może zdarzyć się, jeśli zatracą się w swoim technologicznym fetyszu aż do przesady? To właśnie pokazuje „Madness”. Film ujęty w eksperymentalnej formie muzycznego wideo, gdzie fi lm aktorski łączy się z animacją 2D. Teledysk do utworu „Madness” duetu SOXSO. The film tells a story of several people. Each one of them is different, but they have one thing in common: they're all too attached to their cell phones. What could happen if they all lost themselves in their technological fetish completely? This is what “Madness” is about. A film in an experimental form of a music video, where live action merges with 2D animation. A music video to the song “Madness” by the SOXSO duo. Nagrody za najlepszy wideoklip w konkursie POP SEFF, ufundowane przez firmę AVID Technology Poland i Dyrektora Zamku Książąt Pomorskich w Szczecinie w ramach Szczecin European Film Festival '17. An intimate story about a father-daughter relationship, told in nine chapters. Polish director Sylwia Rosak skilfully captures the way human life gets divided into fragments. Each one is a metaphorical memory from early childhood, throughout puberty, and adult life. The father is an important character in the film, as the one whose memory is very vivid in the protagonist's mind, and who infl uences her life to this day. Societies are good at punishing “others” – claimed to be different because of some, usually absurd, reasons. A Jew in Poland can feel and in fact be an alien. Th e same Jew in Israel can become an alien, when noticed not to have been circumcised. “Jozio, come home” is the story of a child of Holocaust survivors who is abandoned many times – by both Poles and Jews. He travels home – to the Polish town of Wałbrzych – for the first time in 54 years, only to discover that he has no home, he belongs nowhere. The soundtrack for the movie was composed by Mikołaj Trzaska.